Lorraine Daylight has been painting at the Warmun Art Centre since 1999. Lorraine was taught to paint by her senior relatives, Hector Jandany and Jack Britten, who were both established Warmun artists of high regard. Hector was Daylight’s ganggayi (grandfather). Daylight’s father, Gordon Barney, is also a well-known Warmun artist. Lorraine has a close connection to her family’s country. 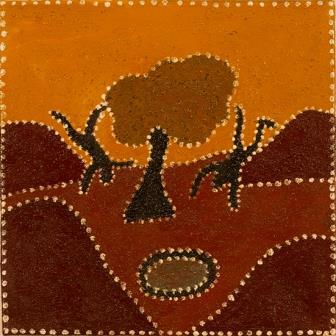 Lorraine’s main themes come from the traditional oral stories of the Ngarrgooroon or Texas Downs Station country. 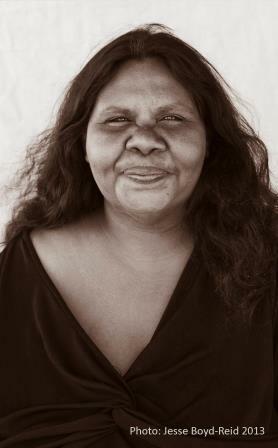 In 1999, Lorraine won the Encouragement Award at the highly competitive East Kimberley Art Award. Lorraine has exhibited extensively across Australia. Roseleen Park was born in Derby and grew up in Fitzroy Crossing. Roseleen moved to Warmun Community and continues to live there. 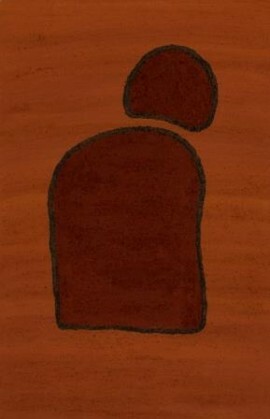 She began painting in 2006 and has quickly joined the ranks of promising young ochre painters. Park paints Country on Alice Downs, Yarrunga (Chinamen Garden) Texas, Lissadell, Turkey Creek, Violet Valley and Chamberlain. These are the traditional lands of Park’s mother and grandfather. ‘My extended family is art people: Madigan Thomas, Shirley Purdie, Lena Nyadbi, Betty Carrington and Hector Jandany.’ Roseleen completed the ANKAAA Arts Worker Extension Program in 2011/2012 and alongside her art practice, also works in the gallery and studio at Warmun Art Centre. Roseleen continues to exhibit her works around Australia.